The Papay Community Cooperative provides a licensed general merchants shop and visitor accommodation in Beltane House, a community-run complex created from a row of 19th century converted farm cottages. 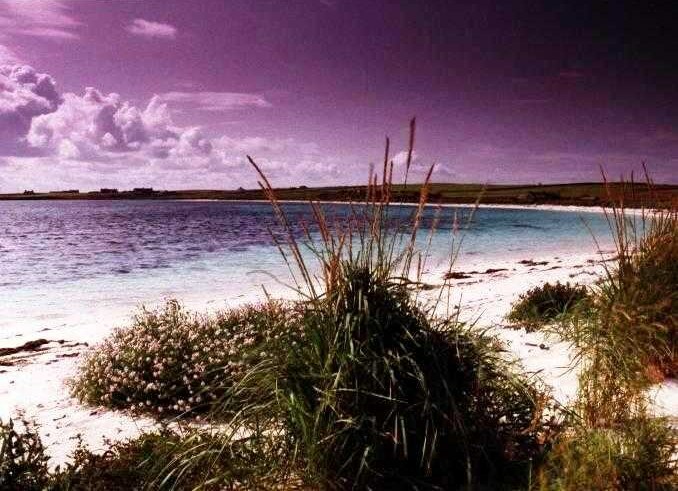 The Papa Westray Hostel is an ideal place to base your holiday. With lovely views out over the Holm of Papay and beyond to the isles of Eday and Sanday, it is centrally located within easy reach of beautiful beaches, archaeological and historic sites and many good walks around the isle. Owned and run by the community, our hostel is warm, friendly and comfortable with private rooms, two modern well equipped kitchens for self-catering, spacious dining room, a lounge with TV, DVD player, board games and books and a large garden overlooking the island and the sea. Island tours - Peedie package, half and one day tours. Papay Wildlife Club holidays combine outstanding natural history with a dash of archaeology. Tempt yourself with our exciting programme of short breaks, each of which reflects the flow of the seasons. Puffins, skuas, arctic terns and many other birds can be seen on the North Hill. Guided tours of the Reserve are given by the RSPB warden on Wednesdays and Saturdays in season (tel: (+44) 01857 644240).